Minister for Defence Marise Payne at Pacific 2017. 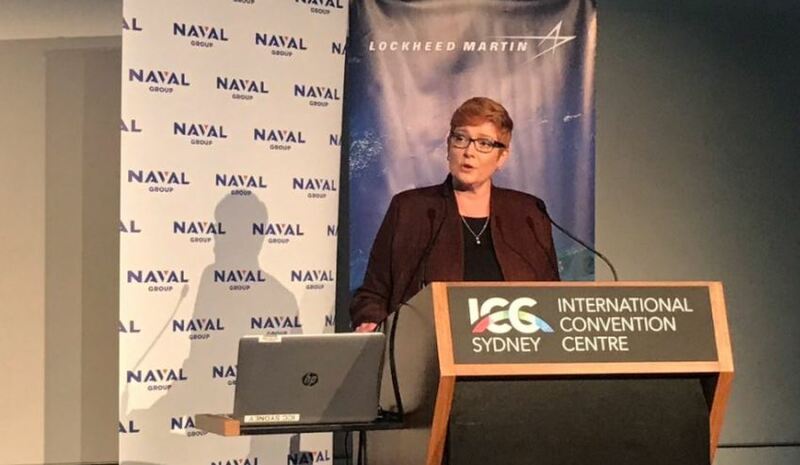 Minister for Defence Marise Payne has praised the change in defence industry since the release of the 2016 policy statement, but has acknowledged more needs to be done. Speaking at the Future Submarine Supply Chain briefing in Sydney at the Pacific 2017 Maritime International Exposition, Minister Payne accepted criticisms of the Department of Defence's engagement with Australian SMEs would have been fair. "Its fair to say many of you might comment that before we launched the Defence Industry Policy Statement last year, before we moved to identify industry as a fundamental input to capability, that there were the occasional challenges in engaging with Defence as SMEs, even as larger businesses," Minister Payne said. "But I think we’ve made considerable progress in breaking those down in ensuring that we are doing business better and that we are more engaged and working on a two-way street, not either a talk to the hand or a one-way street approach." But despite the minister's optimism, she acknowledged there is still a long way to go and has implored industry to come forward and deliver more input. "I don’t pretend for a moment that there's not more to do. I'm very realistic about this. Old habits die hard," Minister Payne said. "But we have made good progress, and if we haven't then I actually want to know about it. I don't have any truck with stick your head in the sand and pretend everything's okay. I want to know about it. These are hugely complex programs, hugely complex pieces of machinery, the most complex pieces of machinery on Earth."